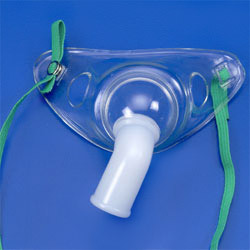 1． For tracheostomy aerosol therapy. 2． Both tubing connector and adaptor car swivel 360° degrees. 3． Tubing connector fits 22 mm I.D. corrugated tubing.